Mallory Morris loves sports. 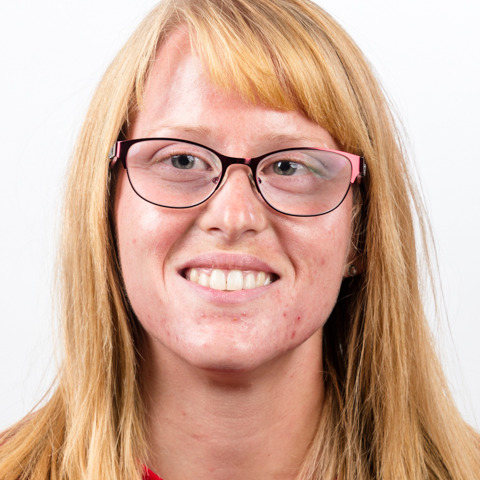 She competes in track and field, swimming, volleyball, basketball and softball throughout the year in her hometown of Manhattan, Kansas alongside her sister Kacey who is also a Special Olympics athlete. Mallory and Kacey are part of the first group of quintuplets born in Kansas! Mallory says Kacey is her role model because she pushes her to give 110%. When Mallory isn't competing she can be found working at Zoo Sprouts Day Care, spending time with her family, going to concerts, baking, or playing with her dogs. In 2018, Mallory played on Team Kansas' basketball team at Special Olympics USA Games in Seattle. She is excited to travel to Abu Dhabi for Special Olympics World Games Abu Dhabi 2019. "I'm looking forward to representing Team USA and going to another country for the first time ever," she said.